Sunday Quote!- Is God Male? | J.W. Wartick -"Always Have a Reason"
Sunday Quote!- Is God Male? His argument is worth reading in detail, and summing it all up would be difficult. He summons the analogous use of feminine imagery for God as one line of evidence. Another argument he puts forward is to show that the avoidance of feminine pronouns and the like was to avoid the error of other Ancient Near Eastern cultures which identified the creator with creation in some ways through a womb metaphor. Flame of Yahweh is shaping up to be a very important work in my collection. I’ve enjoyed it immensely so far, and been challenged by it on a number of topics. I recommend it to you, dear readers. What do you think? Is God male? Why or why not? 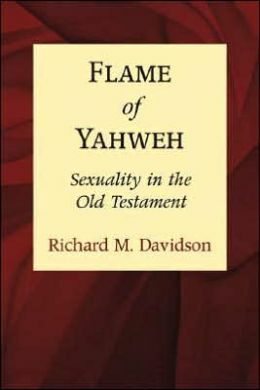 Richard M. Davidson, Flame of Yahweh (Peabody, MA: Hendrickson Publishers, 2007).